Autumn at the Arboretum is a free gift to the community and another opportunity for everyone to get outdoors and enjoy all the sights, sounds and scents of this much-loved season. Inspiration & Worship: Whom Do You Trust? 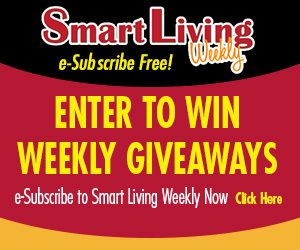 Congratulations to Maria Colletti, of Cherry Valley, this week’s Smart Living Weekly giveaway winner! Maria takes home a $25 gift card to Greenfire, in Loves Park. This entry was posted on Wednesday, October 3rd, 2018 at 5:00 am	and is filed under Arts & Entertainment News & Events, Business News & Events, Mind & Spirit News & Events, News & Events, Smart Living Weekly, Smart Living Weekly. You can follow any responses to this entry through the RSS 2.0 feed. Both comments and pings are currently closed.